Length: 27 1/2"; Approx. 2" dia. 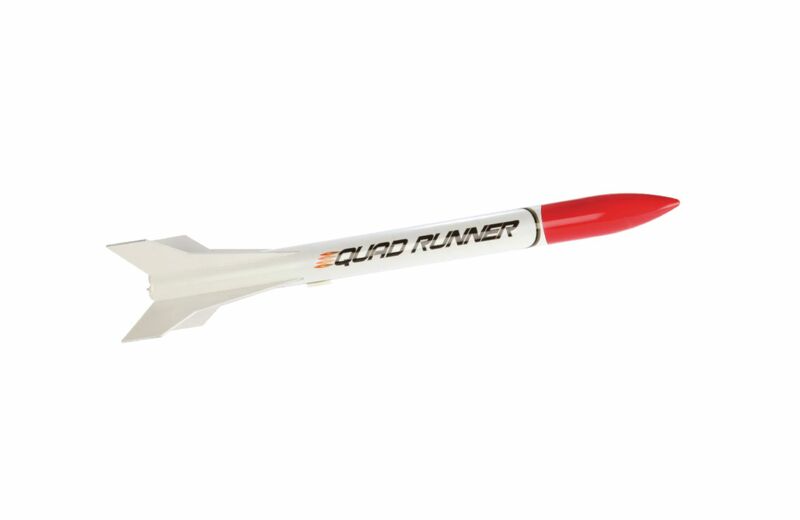 This is the most stable four-engine rocket available. It features an ultra reliable cluster ignition that is easy-to-use. With four of each B6-4, C6-3, and C6-5 motors, this rocket reaches altitudes up to 2,400 feet and recovers with an 18" fabric parachute.